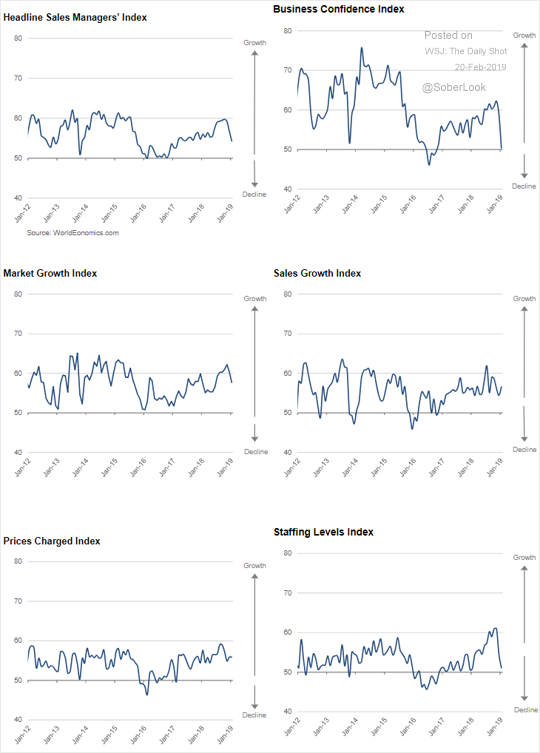 The United States: The February Sales Managers’ Index (SMI) showed further moderation in US business growth. Business confidence and hiring indices slumped. 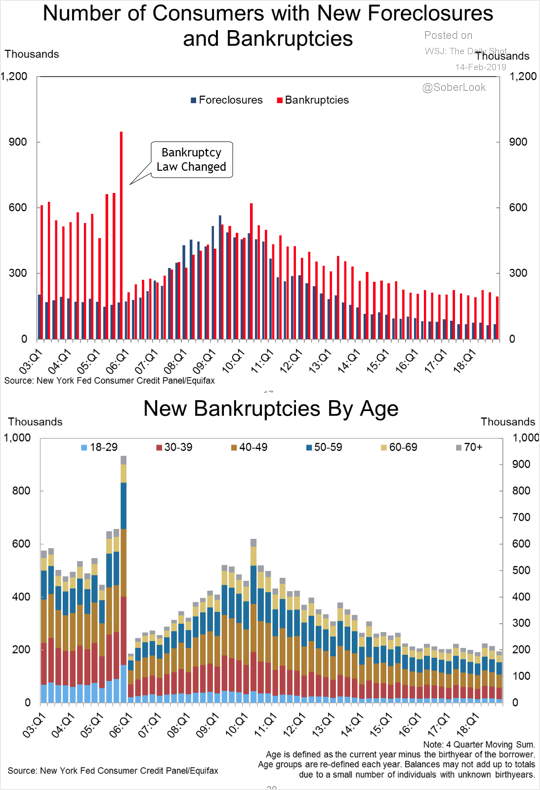 The United States: Here is the trend in bankruptcies and foreclosures. 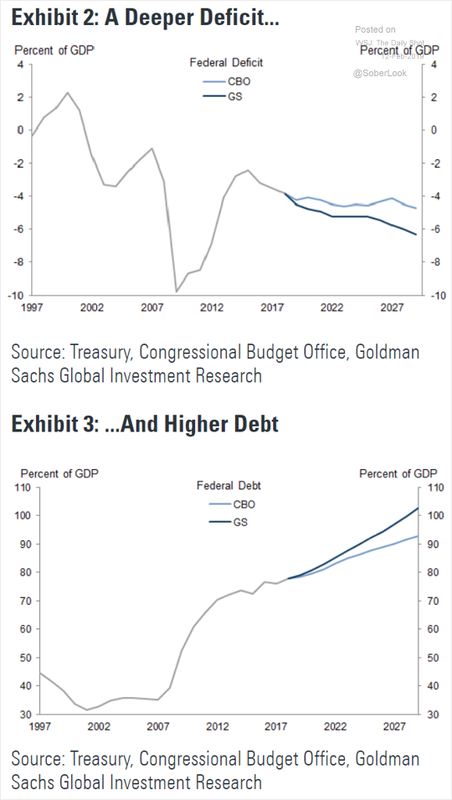 The United States: Has the CBO underestimated the federal deficit in its latest forecasts? 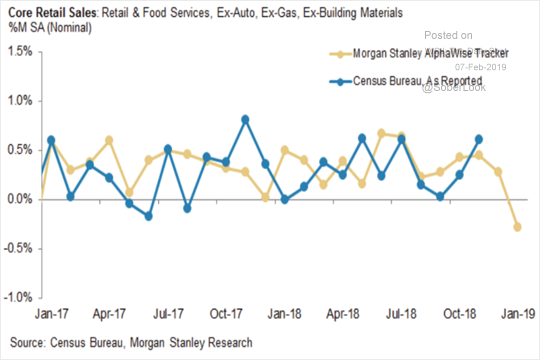 The United States: After a relatively strong holiday shopping season, retail sales weakened sharply in January. Below is Morgan Stanley’s retail sales tracker. Here’s some of the standout economic and markets charts on my radar. I aim to pick a good mix of charts covering key global macro trends, and ones which highlight risks and opportunities across asset classes. Hope you enjoy! 1. Global Deflatometer: Back in the spot-light, this was the number 1 chart from the Ten Charts to Watch in 2019 article. 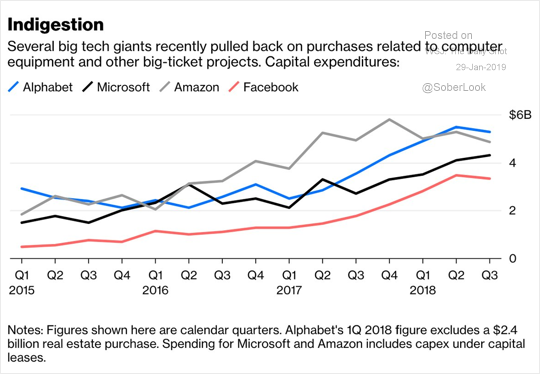 This is going to be one of those charts I keep referring back to as the year progresses – it’s also highly relevant to chart number 5 in this week’s email. Key point: while the global equity route has begun to abate, the deterioration in activity data remains a concern. 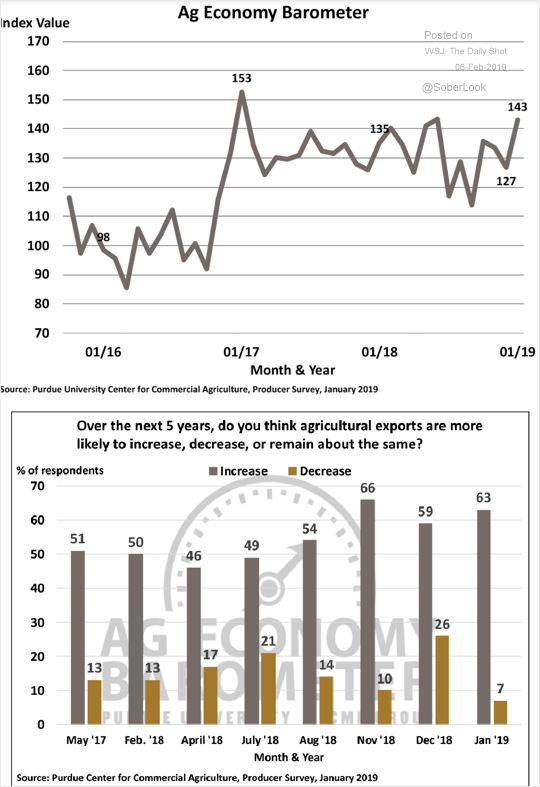 The United States: US farmers’ sentiment improved substantially in January amid hopes for a quick resolution in the trade war with China. 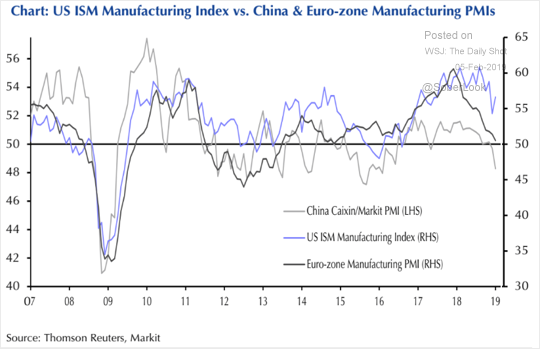 The United States: US manufacturing growth continues to outperform China and the Eurozone. Is this divergence sustainable? The United States: Small business sentiment has deteriorated. 1. 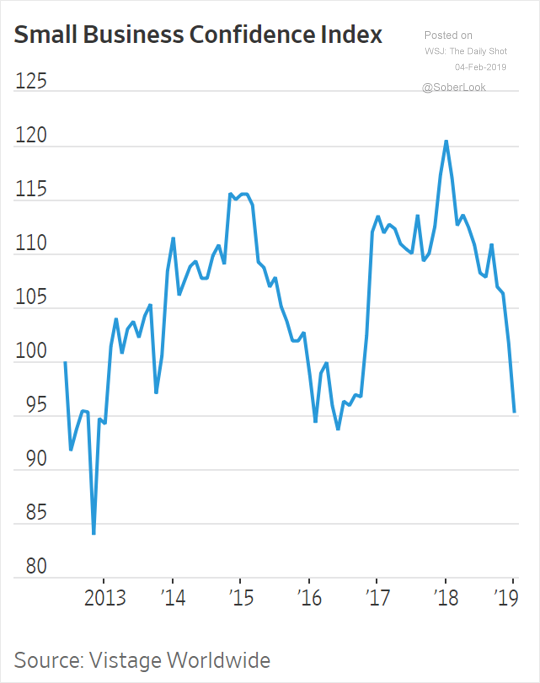 Institutional Investor Confidence – Panic Mode: The January reading of the State Street investor confidence index for North America entered into panic-mode territory. This is the lowest reading on record. I will be covering this topic in more detail in my weekly report on Friday (quite a bit to talk about). The United States: Several analysts are predicting that the US and China will come to a resolution on trade this spring. 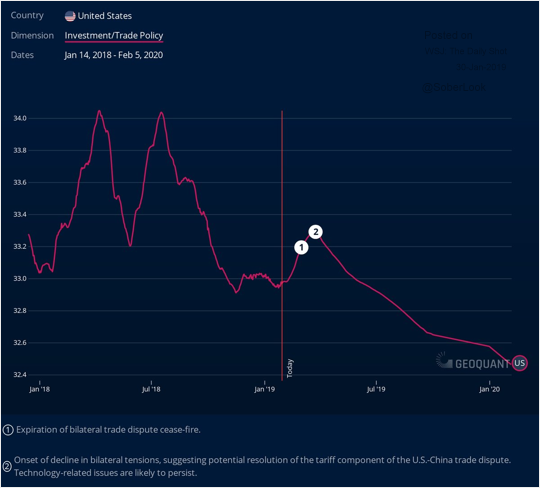 This chart shows a US-China trade policy risk indicator (with a forecast). 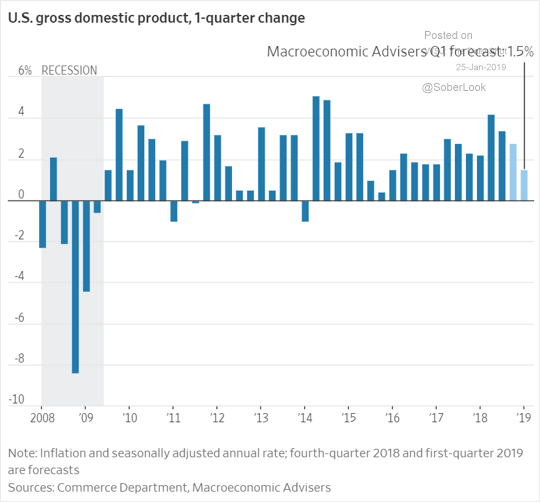 The United States: Some analysts are already forecasting a sharp decline in the GDP growth this quarter.